Engines, motorcycles and a long long way... a love and a passion that was founded in 1968 when Andrea, still in its infancy, already felt the urge strongly imprinted in his DNA. His first steps led him wherever there was an engine to be admired: the bike of the father, the uncle's car or the tractor's neighbor. The innocent child's game will soon turn into a real passion confronting so, as a teenager, with the first work experience by undertaking an extensive training and testing. 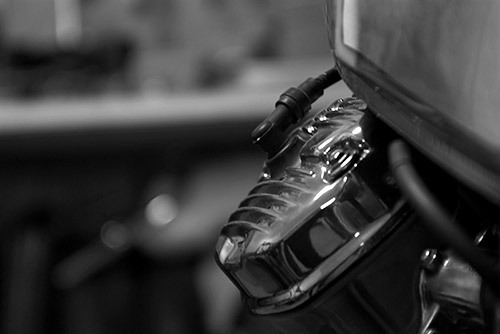 Many years of experience in the field of motorcicle's preparations, in collaboration with well-known Italian houses and test prototypes for one of the most famous and renowned companies of racing bikes, give him much popularity among fans of motorcycling and make it famous and appreciated among journalists sector. His accomplishments, trips riding his prototypes, the more than two million kilometers. routes in Europe and America have been emphasized over the years by major awards..
National newspapers and magazines often have written about him praising his talent in editorials and articles. 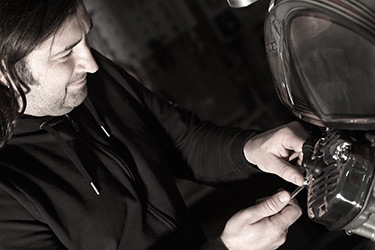 Now sure of his professionalism and expertise and supported by technical partners in the use of traditional artisan of motorcycle parts, realized his dream: STREETFIGHTER CUSTOM is the brand that seals many years of passion and commitment in order to ensure the best result in terms of both performance and customization. 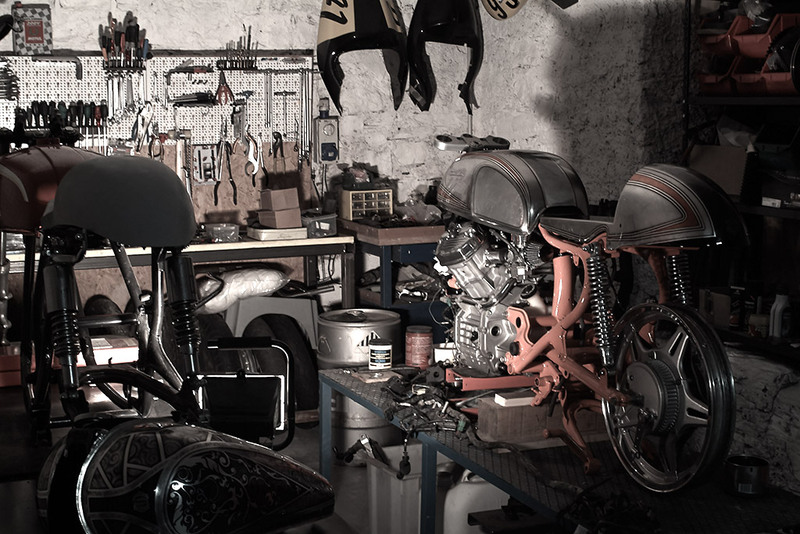 Define garage the STREETFIGHTER CUSTOM workshop is improper: as in a studio the artist creates his works and where his skilled hands give life to his ideas. 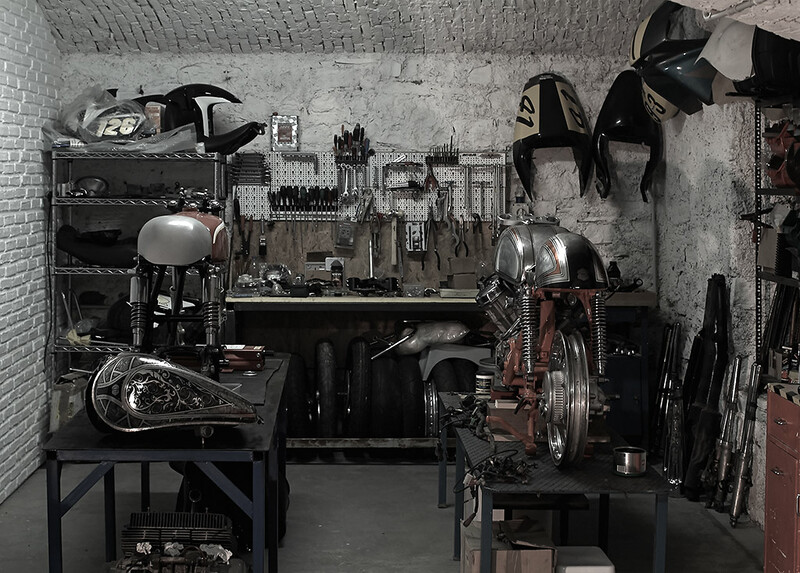 Andrea is a source of ideas and mechanical skills where, between work and fun, in a rustic but sober room, featuring recovered pieces, dismembered motorcycles and transformed into special, you can go a bit'of time to dream and plan together ideal iron. His quiet smile, his proverbial availability, his unbridled passion for two wheels, the maniacal precision and attention to detail will convince to be landed at the place where the dreams will materialize.